Dedicated to those who share our mission to help every large enterprise be Social. About a month ago I was contacted by Jeremy Epstein, from Sprinklr, and he asked if I was interested in contributing a short post to book about social media at enterprise scale. That was a very interesting topic, so I agreed...and now it's out. The book is packed with tips and insights from an impressive lineup of great people, along with bonus content from Sprinklr. 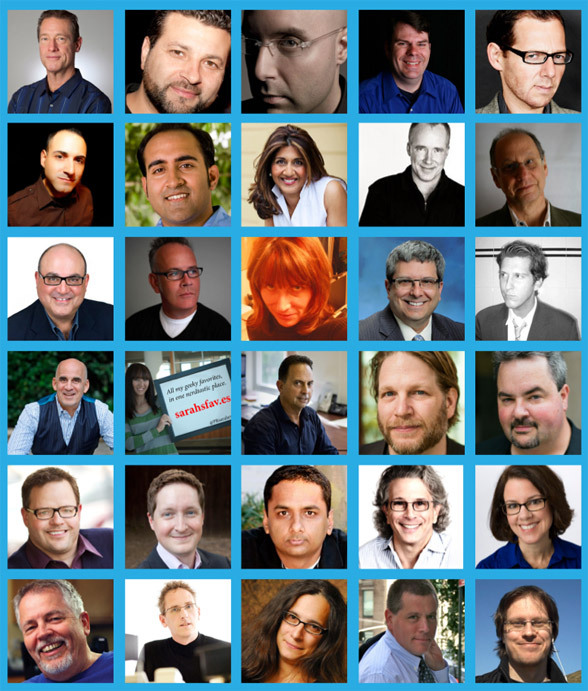 People like: Chris Brogan, Jason Falls, Joseph Jaffe, David Meerman Scott, David Armano, Rohit Bhargava,Mitch Joel, Peter Shankman, Mack Collier, Michael Brito, Jay Baer, Edward Boches, Ann Handley,Nilofer Merchant, Ted Coine, David Weinberger, Shelly Palmer, Mark Earls, Renee Blodget, Augie Ray, Brett Petersel, Ted Rubin, Sarah Evans, Jeff Bullas, Jay Baer, Amy Vernon, Matt Dickman, Venkatesh Rao, Richard Stacy, Hugh MacLeod, Doc Searls ... and yours truly. Download the book today! It's 68 pages long, and completely free. And let me know what you think about it over at my Google+ post. I wanted to say much more than what I could in this book, so next month I plan write more about this very topic, expanding upon what it means to be social at enterprise scale.